Someday is a mythical day that is scheduled to occur sometime between now and the end of time. It is a day heralded by procrastinators, dreamers, and countless complacent others who are completely convinced of its existence – yet, they are unable to pinpoint exactly when it will occur. More than likely, it’s a day that will never come. There are varied reasons for putting things off until someday. The procrastinator is unable to focus, and fritters their time away with distractions. The perfectionist is waiting for the perfect day – when the stars align and everything is right with the world. The dreamer is simply unable to set concrete goals, and the complacent one becomes accepting of their current state, too comfortable (or afraid) to break a mindless rut. Putting things off until someday does not pertain only to small tasks and projects; it applies to larger pursuits as well. Ventures such as travel, higher education, starting a business, and creative endeavors are often put off until someday, despite the fact that they are the very things that give our lives meaning. Why do so many of us wait to enjoy life? Why do we postpone happiness until the end of something else? Why isn’t enjoyment a primary goal versus a by-product or happenstance? Is it really okay to tell ourselves that it’s not time to be happy now because, “I’m raising my children” . . . “building my career” . . . “waiting until retirement?” Will we deserve it more then? Is “someday” the magical day when it will be okay? What we often forget is that life is defined by the quality of our experiences – not by mere existence. At the end of life, a person who has lived well doesn’t usually look back on life with the thought, “I’m happy that I merely existed.” Instead, a life lived well is determined by recollections of meaningful experiences. It’s a life that will leave us with the feeling of, “I’m happy that I have truly LIVED.” Therefore, we must keep in mind that for happiness, living must include experiences above and beyond meeting the basic needs of existence. Happiness and enjoyment of life should be companion to other goals. Aristotle, the Greek philosopher, described the idea of eudaimonic happiness, which refers to the state of flourishing and well-being. He stated that every human activity aims at some desirable end. However, happiness is self-sufficient in that it is the highest end. Therefore, we seek all other things ultimately for the sake of happiness. If we apply this philosophy to our modern lives, we are compelled to scrutinize the common mindset that happiness is a pursuit that occurs separately, outside of the realm of our obligatory activities (i.e., work, family, etc.). Alternatively, we should consider it an element of every pursuit. In other words, there is no reason that work shouldn’t also include enjoyment, or why raising our children should replace our creative pursuits. Happiness should be inherent in all of our activities, and not seen as a separate quest. 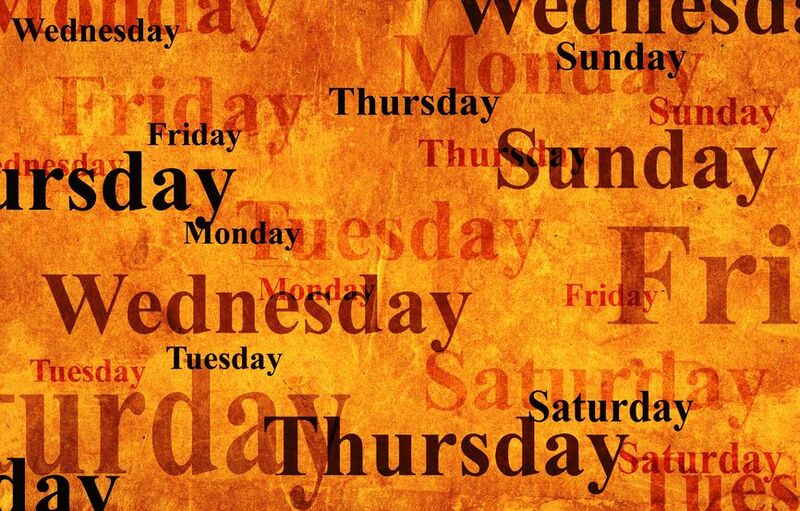 There is a famous, anonymous saying that “someday is not a day of the week.” It’s true. Someday is simply a myth – an ultimate procrastination. Waiting until someday is like living in a perpetual meantime; waiting indeterminately for an unplanned future event. Tomorrow isn’t promised, and neither is someday. So we should seek to be happy now and enjoy every day, because someday is a day that may never come. Is there anything in your life that you’ve been putting off until someday? How would your life change if you were to set a real date and start planning for it now?